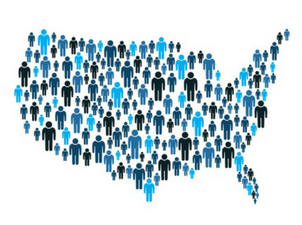 With the 2020 Census rapidly approaching, it is important to consider exactly what is at stake. Although the census is not a process which typically figures into the public consciousness, the information we obtain from it is vital. Census data is used, among other things, to determine the distribution of federal funds for healthcare, housing, infrastructure programs and more. An accurate census is sorely needed to ensure communities –particularly marginalized communities–receive their fair share of resources. There is a plethora of programs that depend on census data to determine funding distribution. During fiscal year 2015, 132 programs used Census Bureau data to allocate $675 billion to communities across the United States. These programs included: Medicaid, the Supplemental Nutrition Assistance Program (SNAP), the Section 8 Housing Choice Voucher, the Section 8 Housing Assistance Payment Program, the School Breakfast Program, the State Children’s Health Insurance Program, Low-Income Home Energy Assistance, Highway Planning and Construction and others. In order to distribute funds, these programs rely on a variety of datasets such as Population Estimates, Poverty Guidelines, Per Capita Income and more. Without an accurate census count, states may not only receive inadequate funds, but they also may experience lower reimbursement rates for expenses accrued from the programs. If there is an undercount, areas that need funding the most will not get the resources they need. This is now an issue of particular concern due to a new citizenship question introduced by the Department of Justice that is currently under consideration. The Justice Department is requesting the census ask participants to indicate their citizenship status on the questionnaire. This is highly intimidating for immigrants who are already feeling vulnerable in the current political climate. They may fear that an honest answer would expose them or their families to deportation despite the fact that census data is anonymous and protected information. The decennial census survey has always counted both citizens and noncitizens. In fact, the Constitution calls for a census which accounts for the “whole number of persons in each State” (14th Amendment, Section 2), not just citizens. Adding this question threatens to undermine efforts to gather a fair and accurate count by dissuading immigrants from participating. This could have a severe effect on Latino communities in particular. This potential citizenship question, along with anti-immigrant language and increased ICE funding by the Trump Administration, together creates an environment of heightened anxiety and mistrust towards the census. What is there to take away from all of this? That participation in the 2020 census is vital! An accurate census, which includes members of the immigrant community, will ensure proper funding to communities in need and proper apportionment of seats in the U.S. House of Representatives. Everyone counts and everyone should be counted! Let’s make sure everyone gets their fair share for the next 10 years and beyond. This entry was posted in Front Page, Immigration, Policy Update, Women and Families on March 19, 2018 by maryc.